Using Hypnosis For Weight Loss: Proven Truth Or Plain Hype? You may have heard a lot of hype about using hypnosis for weight loss and thought it’s another gimmick, right? Well, you might be surprised, but it’s actually not. If you want to eliminate a LOT of frustration and struggle with your diet and workout plans, you should take a serious look at hypnosis for getting (and keeping) the extra weight off. In fact, when you use specific hypnosis instructions that match your personality type, these hypnotherapy scripts flip a switch in your subconscious mind and harness its full power to actually support your weight loss efforts. Want to know what hard science has to say about weight loss through hypnosis? According to the 1996 Journal of Clinical Psychology, these figures are consistent with the proven real-life experience that weight loss through hypnosis works even better over time. In their efforts to sell you on the latest “magic weight loss pill” they capitalize on the widespread ignorance regarding hypnosis, even speculating that it’s nothing more than a stage trick. Read on to fully understand how weight loss through hypnosis instructions works and what you can expect. Most importantly, find out how to choose a weight loss hypnosis program that’s right for you from the many confusing options available. You should know that – unlike during the regular, day-to-day awake state – during hypnosis you experience deeper levels of consciousness, Alpha & Theta brain waves, which enable you to access your subconscious and change any unwanted habitual patterns. Normally, you reach Alpha & Theta brain frequencies only during and just before sleep, when you don’t use this ability. 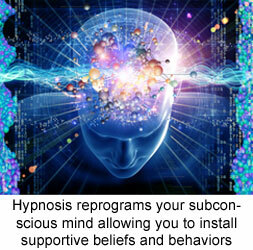 But with specific hypnosis instructions, once you do reach your subconscious mind, the hypnotic suggestions contained in the hypnotherapy scripts empower you to easily change unwanted patterns and deep-seated limiting beliefs that keep your unhealthy habits in place. As you can see, hypnosis re-programs your subconscious mind erasing faulty patterns that sabotage your weight loss efforts. Whatever weight loss plan you choose, you’d have to plan your meals, eat more vegetables, exercise consistently, give away fattening foods, and stop binge eating, right? To achieve your weight goal, you’d have to stick to new, healthier habits using merely sheer willpower. You know this doesn’t work long term, otherwise you wouldn’t be reading this now. 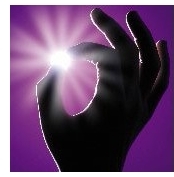 Just imagine using carefully-crafted hypnosis instructions – no, not the ridiculous stage shows, forget about those! Contrary to stage hypnotism, therapeutic hypnosis is long-tested and approved by the American Medical Association – precisely because it’s 100% safe and effective, making healthy behaviors second nature… Instead of constantly pushing yourself to maintain healthy habits through frustrating efforts, you actually start to naturally make better lifestyle choices.